A new piece is taking shape, slowly. It’s one of those big, crazy compositions with lots of figures and stuff flying around and whatnot. 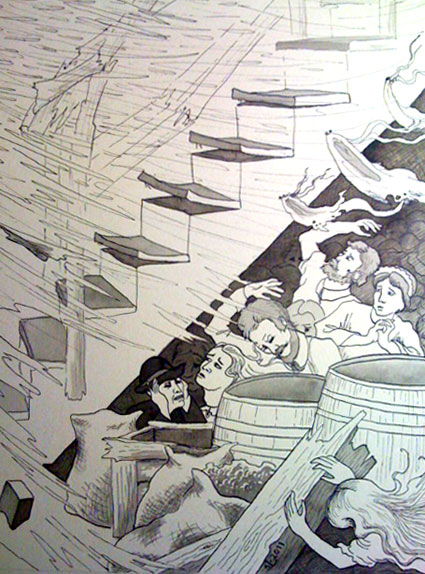 This one depicts a group of people huddled in a cellar under some stairs and behind some wood barrels. The tornado is ripping the building apart and rain and wind are blowing in. Still working on the color choices, but it will be pretty dreary given the subject matter! Here’s the most finished looking portion of it.